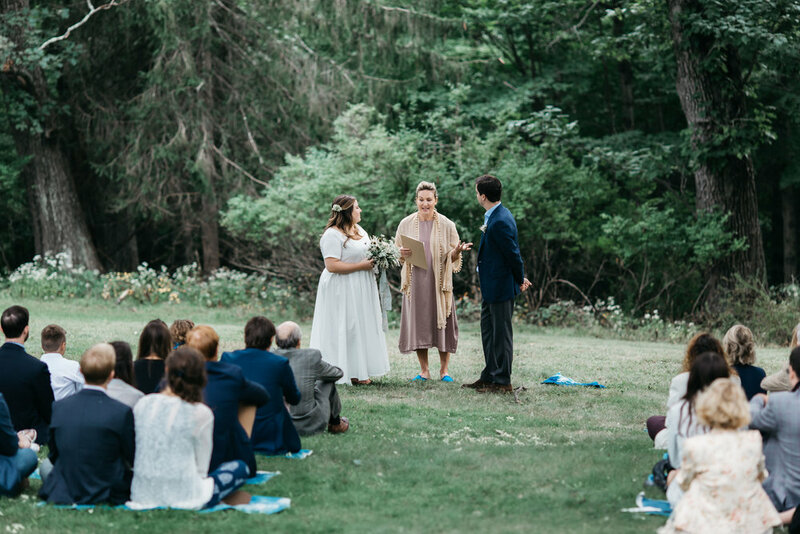 As a floral designer in the Hudson Valley, I’ve been asked about the popularity of weddings in the region, which draws couples from New York City and other locations near and far. I believe the natural beauty of the landscape combined with the unique and historic venues are one part of it—along with the creative community that gets involved with the planning, designing, cooking, and other elements of each event. This special couple came to me through a mutual friend, a clothing/fabric designer who I partnered with a few years back on a holiday pop-up shop. From our first conversation, I knew Triona and Sam’s wedding was going to be a wonderful event. 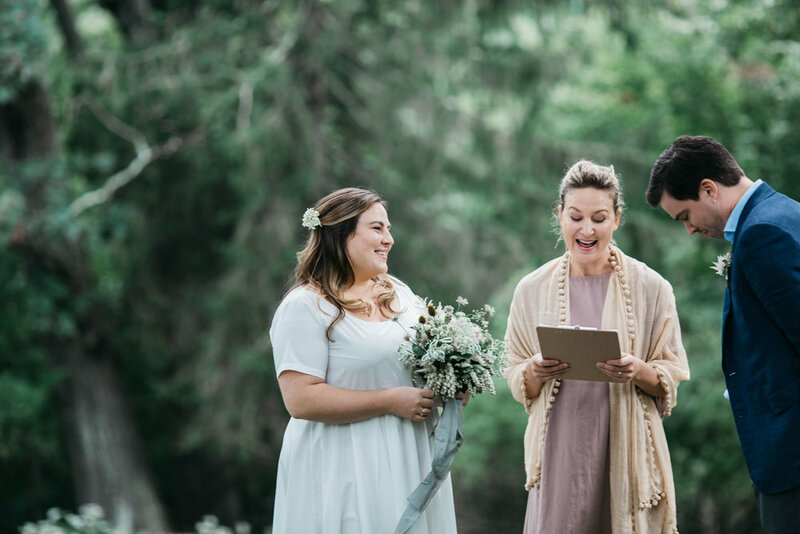 They had so many ideas… ideas that made the wedding truly unique and their own. I saw their emotions during that initial conversation, and I saw just how much in love they were! These emotions and creative ideas fueled my own work. As the wedding got closer, Triona continued to show me linens and other props that she was working on with her friends. By sharing these ideas, as they evolved, I was able to clearly understand their vision. 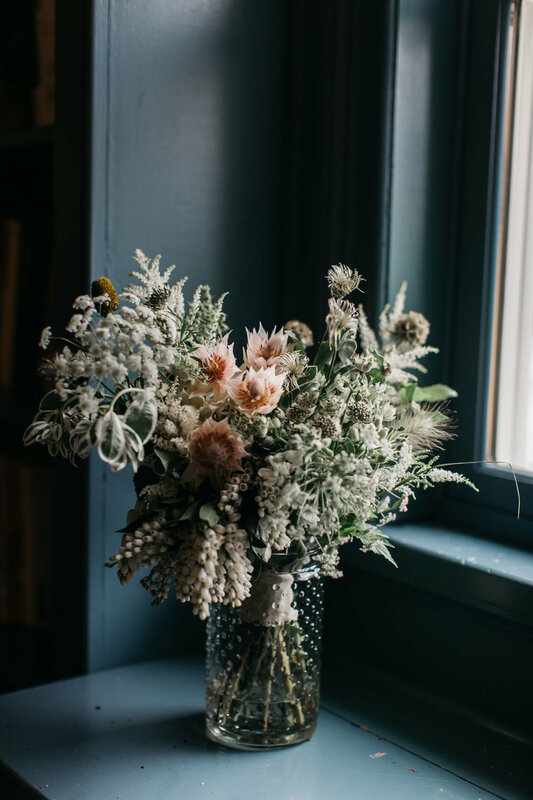 Flowers were to be wild and natural, yet relaxed and casual—just as if she and her girlfriends picked them the morning of the wedding. Yet the designs should inspire, evoke emotions, and have everything positioned just right. 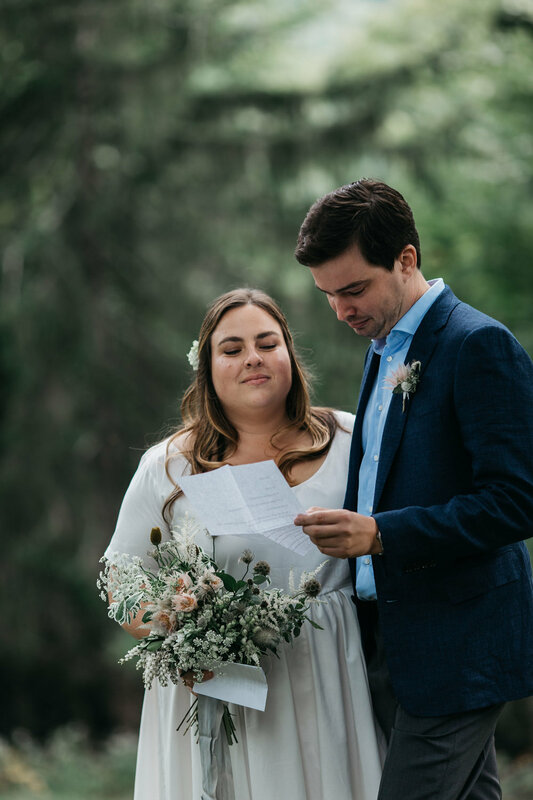 The couple was involved with so much of their big day, but having us handle the set-up allowed them to take care of other details, while spending time with friends and family during their weekend retreat. As a final touch, we chose a lush and lively hops installation that was hung high on the tent poles to bring people together for dinner and dancing. It was such a beautiful collaboration! Congrats Triona and Sam!